While revitalization might look differently to different people, most agree that it involves a higher level of activity and community engagement than previously existed. It may also entail cleaning up neglected areas and transforming previously unused or burdensome areas into positive, productive community assets. 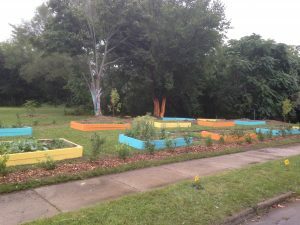 It is the goal of the Unity Park Revitalization project to support and complement the activity of residents and local service agencies in the neighborhood, while filling gaps as they become known. With brand new affordable housing as its backbone and foundation, the Unity Park revitalization project strives to bring recreational activities, engagement opportunities and other non-housing related resources to the neighborhood. So far, this year’s projects include this website, the Unity Park Garden, neighborhood cleanups and beautification projects, the Unity Park Newsletter, My Little Free Library reading initiative, Unity Park Walking Club and neighborhood safety efforts.